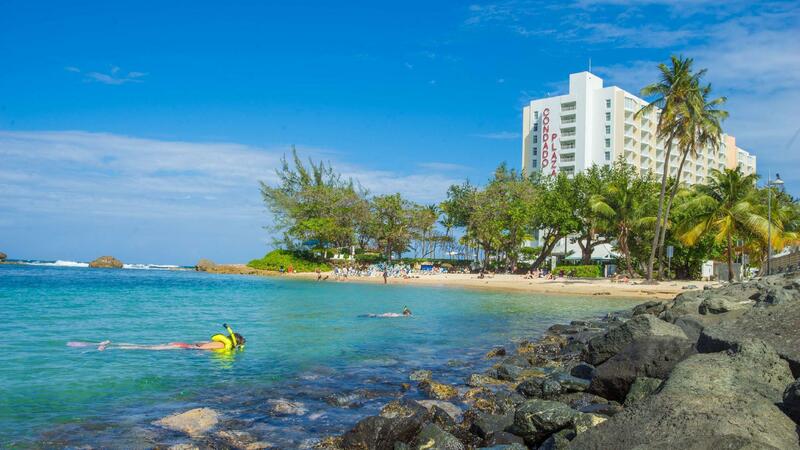 ﻿ Best Price on The Condado Plaza Hilton in San Juan + Reviews! Have a question for The Condado Plaza Hilton? 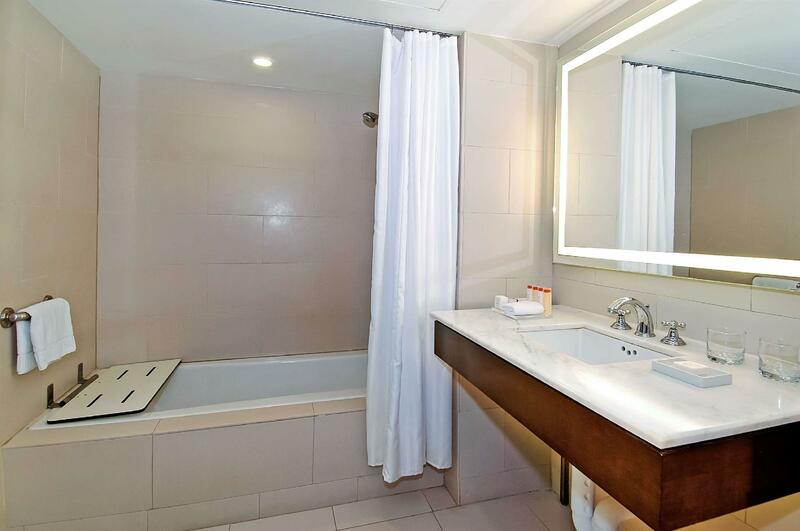 Offering quality accommodations in the beaches district of San Juan, The Condado Plaza Hilton is a popular pick for both business and leisure travelers. From here, guests can enjoy easy access to all that the lively city has to offer. No less exceptional is the hotel's easy access to the city's myriad attractions and landmarks, such as Balneario Condado, Fine Arts Cinema, Caribe Aquatic Adventures. At The Condado Plaza Hilton, every effort is made to make guests feel comfortable. To do so, the hotel provides the best in services and amenities. To name a few of the hotel's facilities, there are casino, 24-hour front desk, facilities for disabled guests, express check-in/check-out, luggage storage. Experience high quality room facilities during your stay here. Some rooms include television LCD/plasma screen, separate living room, air conditioning, wake-up service, desk, provided to help guests recharge after a long day. The hotel offers fantastic facilities, including hot tub, fitness center, tennis courts, table tennis, water sports (non-motorized), to help you unwind after an action-packed day in the city. The Condado Plaza Hilton is a smart choice for travelers to San Juan, offering a relaxed and hassle-free stay every time. Beautiful beach and pool. Nice view and location. Very suitable to bring your family here! Let's be frank. It is truly regrettable the fact that unless you pay $18.95 for indoor parking or $25 for Valet parking, you would have a hell of a time to park your rental. If you decide not to have a rental, using taxies is prohibitive. This was the warm welcome we got when we arrived at the hotel. The room was great up to Friday when we got a surprise. The room was not fixed up, trash was still in the trash cans, and we had to contact the front desk to get it done. The two employees that went over and beyond their duties. If I had to stay again in a hotel in PR, it will definitively not be The Condado Plaza Hilton. Great. We had a good time . Pleasant stay. Would definitely return. We stayed at this hotel over New Years for our baby moon. This hotel is old and the beds are extremely uncomfortable (for my husband and also for me). The food and drinks are way overpriced. Most importantly there is no real beach!!!! There is a small strip of sand and water off to the side of the hotel where half of San Juan gathers. It is not a private beach and there is no privacy or space- the pictures on the website are definitely deceiving! The pools are okay but they start playing really loud music at the main pool around noon and don't stop until after happy hour. The pool on the bay side is nice and quiet but the hot tub was broken our entire stay. Overall, this hotel is overpriced- if I had to do it over we'd probably stay at the Marriott down the road. On a brighter note, Hector, who works at the front desk, was delightful and the saving grace of our trip. He was helpful, kind and understanding and went out of his way to help us. 1. Quite centralised location 2. Beautiful lobby area 3. A Denny's outlet at the lobby. The rooms are a little small, a little dated. It was quite clean though. i attended a conference recently at this hotel. the hotel is located close to old san juan and in easy travelling distance to the city. staff were very pleasant and attentive. my room was large and well equipped. all in all a good experience. Kort vei til cruise båtene og gamlebyen i San Juan. ok! svært støyende spisesal. mye akustikk i betongveggene. Ligger i nærheten av cruise båt havnene og gamlebyen i San Juan. Hotelet var greit men vi fikk følelsen av å være kjeltring da vi sjekket inn. Det å kreve reservering av penger det første de gjør når de har fått anledning til å belaste kredittkortet og at rommene var betalt på forhånd er unødvendig. Dette skapte misstillit. Rent og ryddig, store rom med gode romslige senger, stort og innholdsrikt bad, rikelig med myke og gode håndklær. vi viser til rubrikken over. mye var veldig bra og av god kvalitet. mye støy i matsalen ved frokosten grunnet dårlig akustikk. vi ville satt pris på å vite at i usa er det avgifter i tillegg til avtalt pris. vi forstod ikke dette av den grunn at det var vårt første opphold i usa.dette kunne vært opplyst i hotellets infobrosjyre. positivt var det at utlån av håndklær ved bassenget var gratis.badestrand og solingsplass var ren og ryddig. det var mange nok(og gratis) solsenger. i resepsjonen var ansatte høflige, men lite serviceminded og noen snakket dårlig engelsk.